It will soon be Purim; a Jewish Festival of enjoyment and celebration. I wrote about this very same festival last year around the time I celebrated with friends in North Manchester, great fun. But what is Purim? What is the story? There once lived a King by the name of Achashverosh, who ruled over Persia in the third century, BCE. The story begins with a grand feast that the King was throwing at his palace. Irreconcilable differences propelled the King to divorce and seek a new queen. In search of a new queen, the King commanded his men to travel throughout the kingdom in search of the loveliest of maidens so that he could view them and choose the most beautiful to be his wife and the new Queen. Around this time there lived a gorgeous woman named Esther. She lived in a small province with her uncle Mordechai. She knew that being the Queen of Persia would be good for her people, so she prepared herself to be brought before the King. Once the King saw Esther he stopped looking and she became the new Queen of Persia. One day while passing by the palace gates, Mordechai overheard two guards plotting a revolution with the intent to kill King Achashverosh. Mordechai informed Esther, and the militants were captured and executed. Mordechai saved the King’s life. The King had an advisor named Haman. This advisor was power hungry and conniving. Haman disliked the Israelites, especially Mordechai. When Haman would travel throughout the towns, he expected the people to bow down to him, as he was second in command to the King. Mordechai refused to bow. In order to gain favor with the King and rid himself of Mordechai and his people, Haman devised a plan to kill them all. Haman used his sharp tongue and twisted the thoughts of Achashverosh, alleging that Mordechai’s people would cause a problem for the King and that the King should lend his seal to a petition to have them destroyed. The King authorized the genocide and letters were written and sent to all the provinces of Persia bearing the King’s seal. 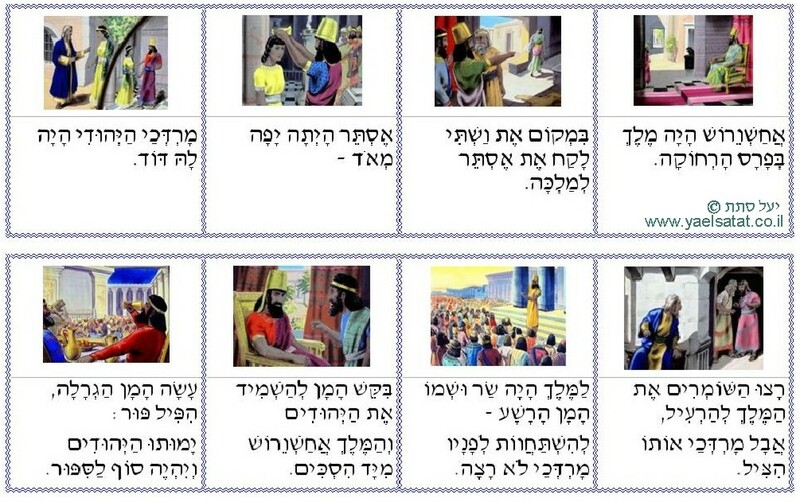 Haman drew lots to pick the date upon which the genocide would begin. The thirteenth of Adar (the month of Pisces) was the selected day for the mass extermination of the people. Remember this date. When Mordechai caught word of this, he tore his clothes in mourning, dressed in a sackcloth and cried before the King’s gate. When Esther was told about her uncle’s behavior she sent him new clothes, but he refused them. He sent her a message telling her to go to the King and plead for the lives of her people. The law in Persia at that time was strict; no one was to approach the King unless they were summoned. To disobey was punishable by death. Esther sent word back to her uncle that the townspeople should fast for three days, she would do the same, and after the three days she would approach the King. After three days, Esther went to the King who was so pleased to see her that he held out his scepter and asked her if he could grant her a request. Esther asked the King and Haman to join her in her quarters for a banquet that she would prepare on the following day. As Haman left the Palace that evening he saw Mordechai. So full with hatred was he for Mordechai, that he resolved the next morning he would ask the King’s permission to hang Mordechai in a public spectacle on gallows fifty feet high. That same night the King could not sleep and he asked to hear the daily chronicles, which recorded the events of the palace. There the King learned that Mordechai informed the King about a scheme to overthrow the kingdom and kill the King. Mordechai had saved the King’s life, but had not been rewarded for his loyalty. When Haman arrived in the morning, the King asked Haman’s advice as to the appropriate manner to honor a person that has found great favor with the King. Haman, assuming that it was he who was to be honored, said that the man should be allowed to wear the King’s crown, the King’s clothes and should be led through town on the King’s horse, proclaiming that this man is favored by the King. King Achashverosh accepted the idea and told Haman to give this honor to Mordechai. Enraged, Haman followed the King’s orders. That night was the banquet that Queen Esther had prepared for the King and Haman. The King was so pleased with her, that again he asked Esther if he could grant her a request. This time Queen Esther asked her husband to save her life, the life of her people, and her uncle, Mordechai, who the king had honored that day. The King was horrified that the life of his queen and his devoted Mordechai were threatened and demanded to know who was responsible for this. Esther replied that it was Haman. Haman fell to his knees before the King and pleaded for his life, but the King ordered that Haman be hung on the very gallows that he had intended for Mordechai. Mordechai was then made the new advisor to the King. However, the order of genocide could not simply be revoked, so the King ordered that the Israelites be informed and armed to fight in their own defense. Due to their awareness of the kabbalistic tools of unity, the 72 Names of God, and their understanding of the cosmic cycles of the kabbalistic calendar, the Israelites of Persia triumphed over the Persian Army. They awakened the power of miracles available in the month of Adar/Pisces. And moreover, they were able to alter their destiny. So what does this story tell us? what does it teach? The story of Purim is a story that teaches that we must overcome one of our greatest enemies; doubt. Esther could not affect the destiny of her people until she affected the cause of their impending calamity. By saying her people should fast for 72 hours and give succor to one-another she helped her people come together, to overcome the desire for self alone and awaken the energy of unity through the experience of sharing. The king armed them, they fought and overcame their impending doom. For Jews the time of Purim is a time of celebration. If you go to a Jewish area wherever you find yourself, in whatever country you are you will almost certainly find a community in festive mood. Parties, cake, drink, face-painting for children and general merriment – a time of joy. Doubt is an enemy of achievement an enemy of aspiration. Doubt of others is bad, but Doubt of yourself is worse. Be sure of yourself, know who and where you are in your life. Know who and where you would like to be in your life. Do not doubt yourself and go and achieve. These are the lessons from Esther. This entry was posted in anti-Semtitism, Art, cool stuff, education, favorite stuff, Food, happiness, Hate Crime, identity, Inspiration, Israel, knowledge, life, motivation, music, networking, peace, self and tagged achievement, aspiration, autonomy, Celebration, creativity, culture, doubt, Esther, food, happiness, health, identity, inspiration, Israel, Jew, Jewish, Jewishness, life, motivation, networking, peace, People, positivity, Purim, virtues, way of thinking.